Germany, the world's fourth-largest economy, is under pressure from the United States to boost military spending and shoulder more responsibility within NATO. 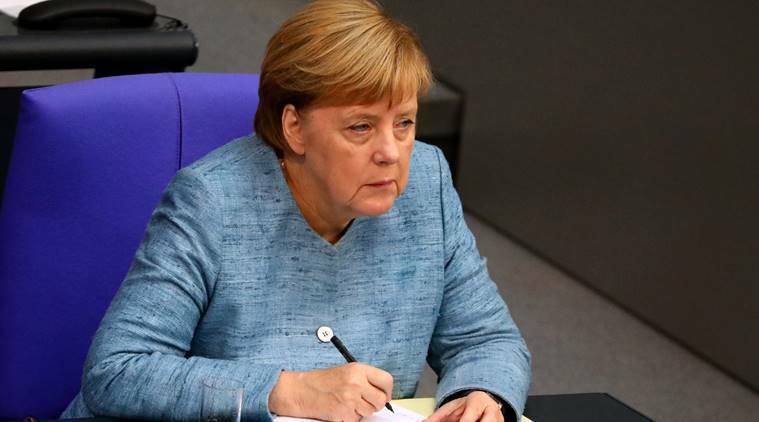 Berlin: Chancellor Angela Merkel said on Wednesday Germany could not simply look away if chemical attacks took place in Syria, two days after her government said it was in talks with its allies about a possible military deployment in the war-torn country. The conservative leader said it could not be Germany’s answer to reject military intervention, a direct rebuke of her Social Democratic coalition partners, who have rejected participation in military action against Syria. Germany, the world’s fourth-largest economy, is under pressure from the United States to boost military spending and shoulder more responsibility within NATO. It did not participate in military strikes carried out by US, French and British forces on Syria in April after a chemical weapons attack. SPD leader Andrea Nahles on Wednesday told lawmakers her party would not agree to military intervention in Syria unless the United Nations authorised such action.